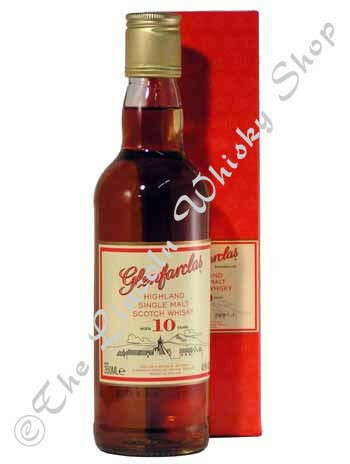 The whiskies of Glenfarclas are up on the top pinnacle of the Speysiders. It is one of those rare whiskies which, when left alone, continues to mature over aeons. The house style is big & complex as one would expect & the 10 year old has a dry elegance. On the palate it is initially crisp & dry with the flavour expanding as it develops.